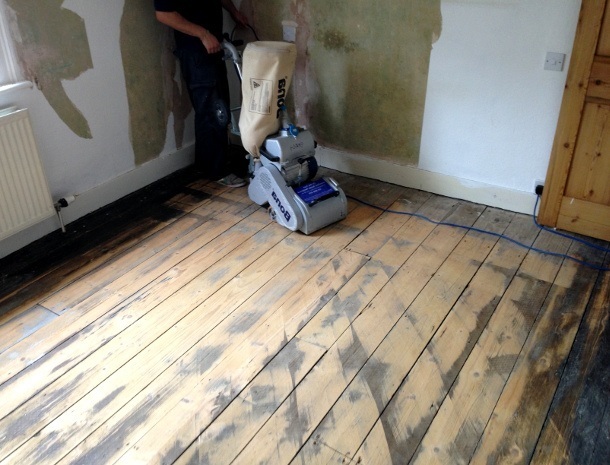 Need help getting your wooden floors into first class condition? Then talk to the experts. We deliver a range of professional services for wood floor sanding in Haringey – from restoration and repairs, to gap filling, sealing and staining. Our flexible services can be applied to all kinds of wooden flooring… hardwood, softwood, parquet and more. Just let us know what you need! Talk to us now for an expertly delivered floor sanding service, delivered with skill, precision, and at some of the best rates on the market. First we’ll look at your floors – with a no-obligation consultation. After that we’ll leave you with a no-obligation quote for the work. The state-of-the-art sanding equipment is 99% dust free – and operated by Bona-certified floor sanding experts. We guarantee all of our services, while the floor sanding technicians come with full public liability insurance as standard. The hypoallergenic and dust-free restoration methods leave your floors beautiful and easy to clean, while also serving to help raise the value of your property. We’re always available for support, bookings and advice, on our 24-hour phone line. Repair and Restoration: Our full wood floor restoration service will transform your floorboards or parquet to a pristine, as-new condition… using some of the finest technology, and most advanced techniques in the industry. Gap Filling: If you’ve had gaps appearing between your floorboards as they age, then allow us to fix these – using either close matching slivers of wood, or a hard-setting resin, depending on their size. 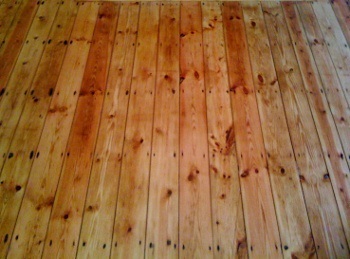 Floor Sanding: If your floorboards are looking tired, scuffed, scratched or splintered, we can give them a fresh lease of new life… by delivering a thorough treatment using 99% dust-free sanding techniques. Staining: We can provide you with a thorough staining service to shade your wooden floors any colour you like! On top of that, staining also helps defend the wood against rot, moisture and sun bleaching. Finish and Sealing: We can varnish, oil or wax your floors, in order to seal in the shine and protect against future spills and stains. 1. Dirt and Grit. Don’t let sharp particles of dirt and dust scratch your flooring surfaces! Lay floor mats to trap them at every doorway, and sweep regularly. 2. Moisture and Spills. Water and other liquids run the risk of damaging your flooring finishes, or causing floorboards to warp. You can avoid this by making sure you’re quick to mop up spills. 3. Oil Soaps. Save your floorboards some unnecessary stress by using only neutral pH cleaners! Oil soaps are particularly bad, as they can wreak havoc with the finish of your flooring surfaces. 4. Furniture. You can defend against extra scratches and dents by placing felt pads beneath the legs of your furniture. You should also be sure to always lift, rather than drag, whenever moving your furniture around! No matter whether you’re a landlord or homeowner looking for flooring services at your commercial premises or residential building… give us a call today, and apply for your quote on our expert floor sanding in Haringey! We’ll send a team to your premises in order to make an on-site assessment – no charge, and no obligation – before providing you with an accurate quote for the job. All you need to do is send us a message today, or call us on our 24-hour support and bookings line: 020 3404 4979. The Floor Shop Ltd - Hardwood flooring and laminate specialists in Haringey. MFA Flooring Services - Local flooring specialists in Haringey.